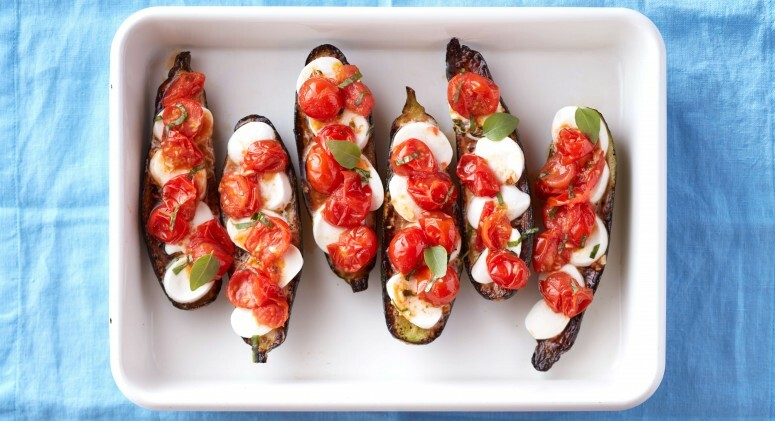 Following a Paleo diet doesn’t have to mean saying goodbye to all your favorite desserts—you just have to get a little more creative with them. That’s definitely the case with fudge. Most candy-shop versions call for a combination of white sugar, butter, and milk. But swapping in honey or maple syrup, nut butter, and coconut oil produces the same silky texture, without the dairy. The other big difference comes in the way you put it all together. Unlike the traditional recipe, there’s no one way to make Paleo-friendly fudge. Here are 11 different methods to try, from blending to slow-cooking to freezing it in popsicle molds—and ideas for flavors beyond the usual chocolate. Guilt-free treats await! This might be the easiest fudge ever. All you need to do is mix together sunflower seed butter, coconut butter, coconut oil, and maple syrup, then freeze it. It’s as simple as that! While it takes a little longer to set than freezer fudge, refrigerated fudge has softer, chewier consistency. Try this three-ingredient recipe for a sweet but healthy chocolatey treat. Just remember to store any extra in the fridge to keep it from getting greasy! For a truly decadent Paleo fudge, try blending toasted coconut flakes in a Vitamix or other high-speed blender until they thicken and resemble heavy cream. Ghee helps firm it up, while raw honey adds just enough sweetness. 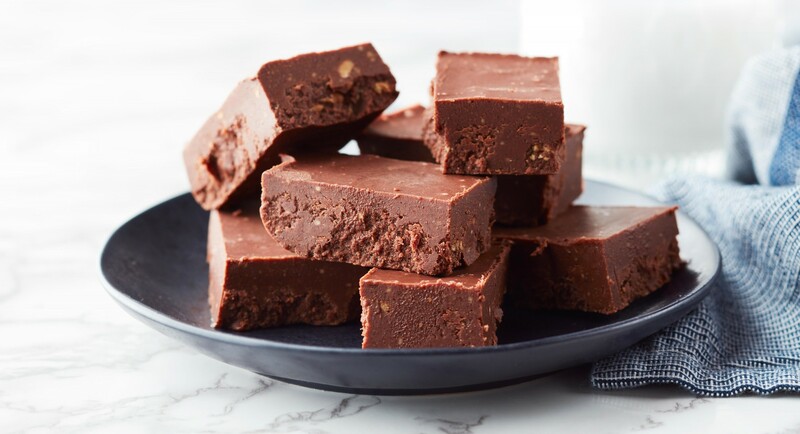 This vegan, gluten-free, and yes—Paleo—fudge calls for a surprising ingredient: almond flour. Though not often found in fudge, it gives the final treats a more substantial texture. Even better, you can customize the recipe with any nut butter and liquid sweetener you have on hand. Who says fudge has to be served in squares? 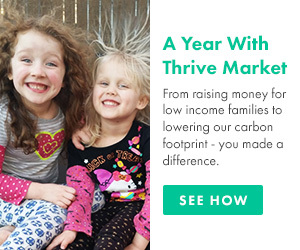 Switch it up by letting the fudge set in muffin tins. This decadent recipe tastes like a cross between Reese’s and Almond Joy—we’re in. No chill time needed here—rolled fudge truffles are ready to eat immediately. The five-ingredient sweets hold up well at room temperature, but can also be stored in the fridge. Dust them in cacao powder for a quick, elegant finish. To get that deep, molten consistency, try heating all the ingredients in a saucepan before letting the mixture harden in the freezer. Here it’s all about the pumpkin spice flavor (no chocolate! )—and the result is a warming dessert that’s perfect for the cooler fall months. Remember fudgsicles? Yes, someone found a Paleo-friendly way to recreate those creamy frozen treats. Break out the popsicle molds and pour in a blend of avocado, banana, coconut milk, and cocoa. The crockpot might seem like a strange choice for making fudge, but the low, consistent heat actually keeps it nice and melty—without burning. Plus, you can turn it on and forget about it for a few hours! For something a little lighter than the traditional chocolate, try shortcake fudge stuffed with fresh strawberries. A toasted coconut butter base mimics the buttery flavor of shortcake, while a creamy strawberry topping adds fresh flavor. Bonus: This recipe also fits into most ketogenic diets! As visually stunning as it is decadent, this layered almond butter and dark chocolate fudge can’t be beat. Sweet and a little bit salty, it tastes best with dark chocolate chips and coconut flakes sprinkled over the top for a little bit of crunch. 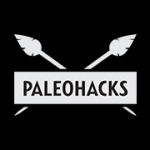 PaleoHacks is the top source for amazing Paleo recipes, fitness tips, and wellness advice to help you live life to the fullest.